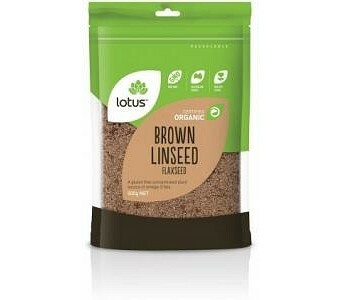 Lotus Organic Brown Linseed ( Flaxseed ) is a gluten free concentrated plant source of omega-3 fats. Ingredients: Organic Linseed (Flax). No Preservatives or Additives. Certified Organic by ACO.